"Repeat Signage allows me to advertise to clients, connect to rss feeds and create better branding". 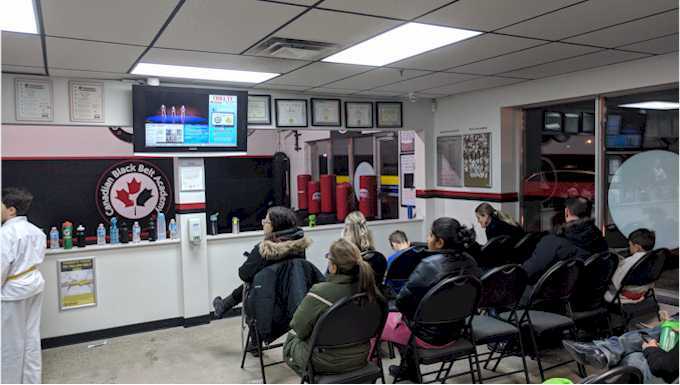 Canadian Black Belt Academy. We work with reseller partners who provide IT and AV hardware into education and business sectors. The staff are great to deal with and respond to your questions fast. Having used it for a month now we have had no issues and have had more students register for events at a faster rate without having to seek them out". 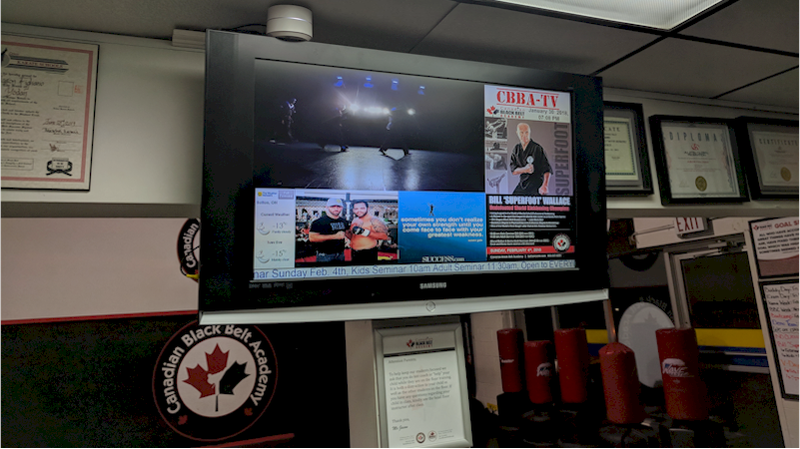 Jason Figliano, Owner and Head Instructor, Canadian Black Belt Academy, Bolton, Ontario, Canada. Repeat Signage Standard edition digital signage software helps you get your message across and promote your products or services. It is easy to use and you can create a presentation and have it playing in minutes. Features include touchscreen support, local and remote updating of presentations and it supports Windows 10, 8/8.1, 7, Vista and XP.